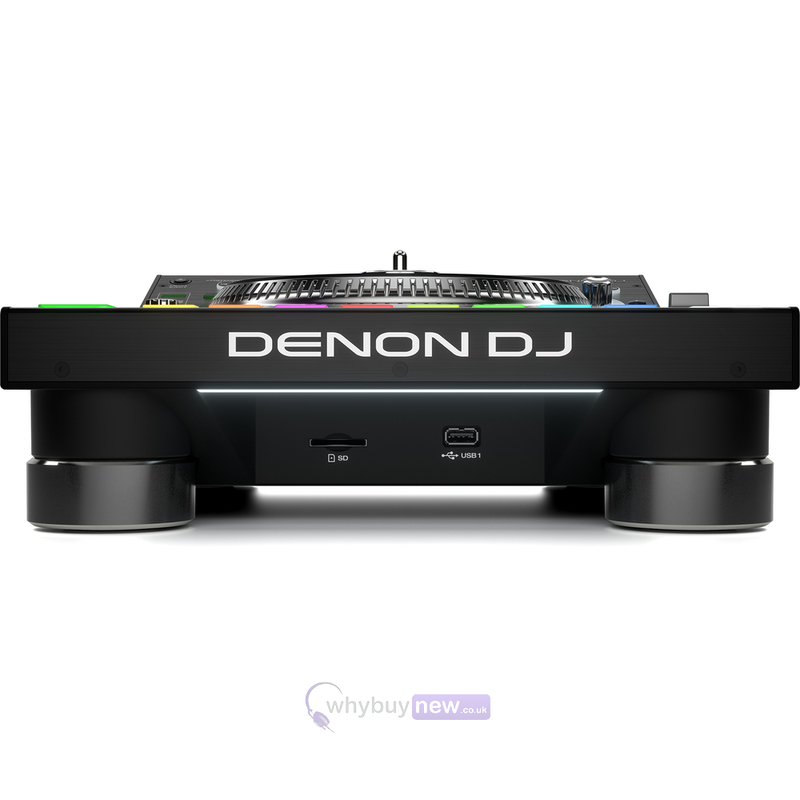 The Denon SC5000M Prime is a professional DJ media player deck and has 3 USB inputs (1x USB 3.0 and 2x USB 2.0) for memory sticks along with a SD input for SD cards. 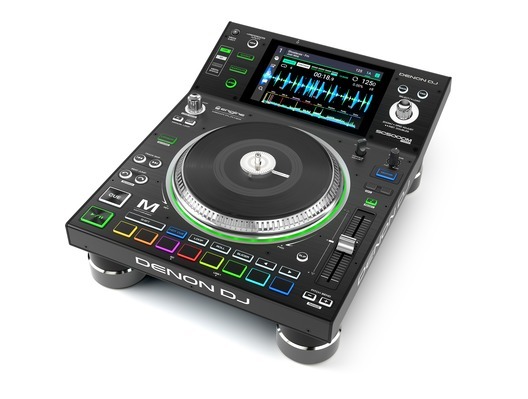 The Denon SC5000M Prime has a real 7" vinyl platter and can play all the latest file formats including AAC, AIF, FLAC, MP3, MP4 and WAV. 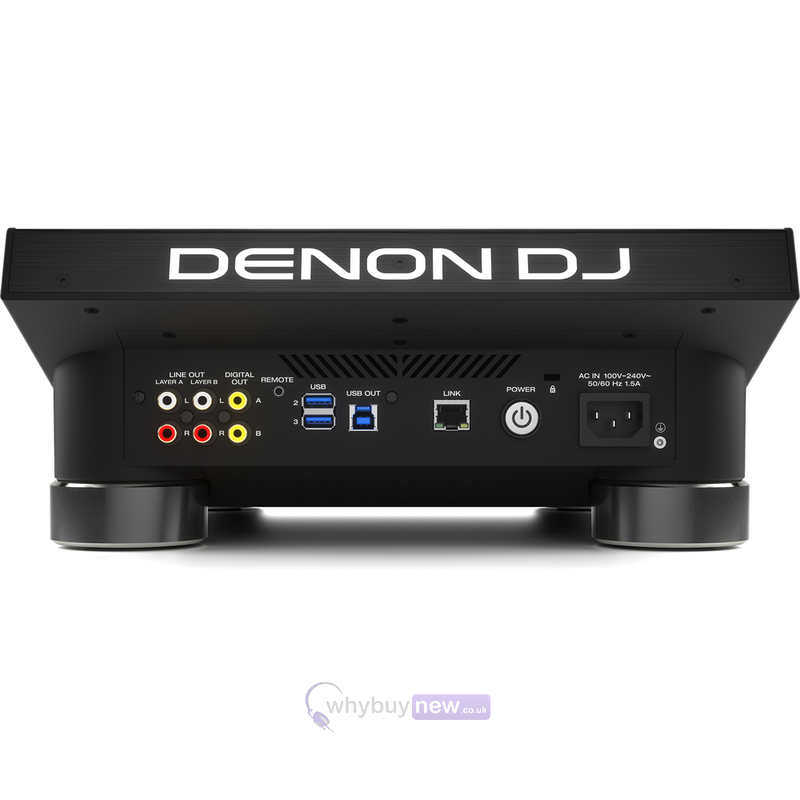 Continuing the fantastic range of Denons Prime Series, this Denon SC5000M Prime improves on the award winning Denon SC5000 media player and will impress any DJ who uses it. 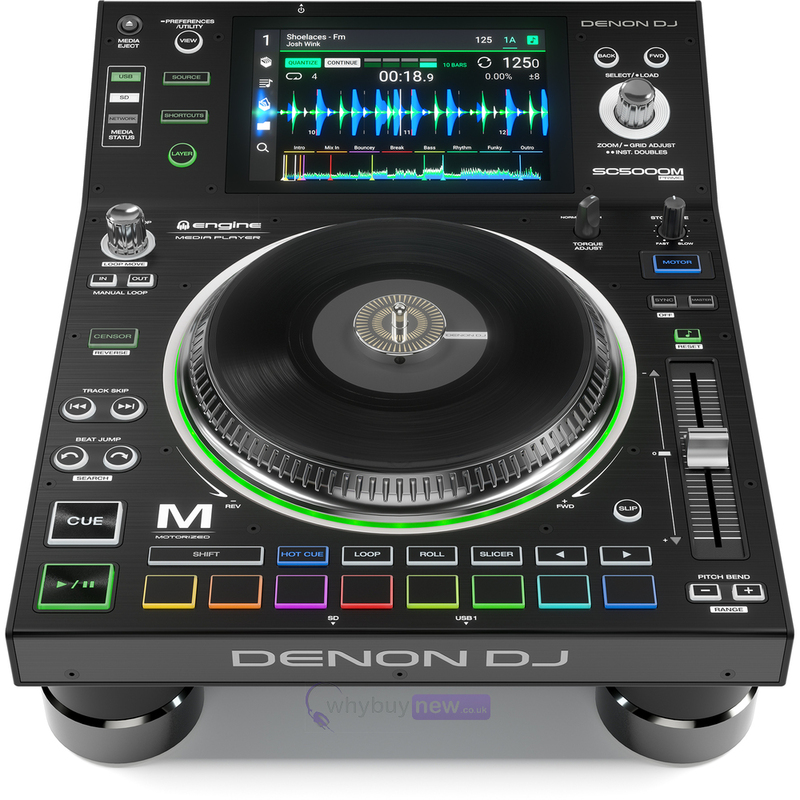 The SC5000M is the latest addition to Denon DJs Prime Series line up, bringing a motorised platter, legacy vinyl experience to DJs. 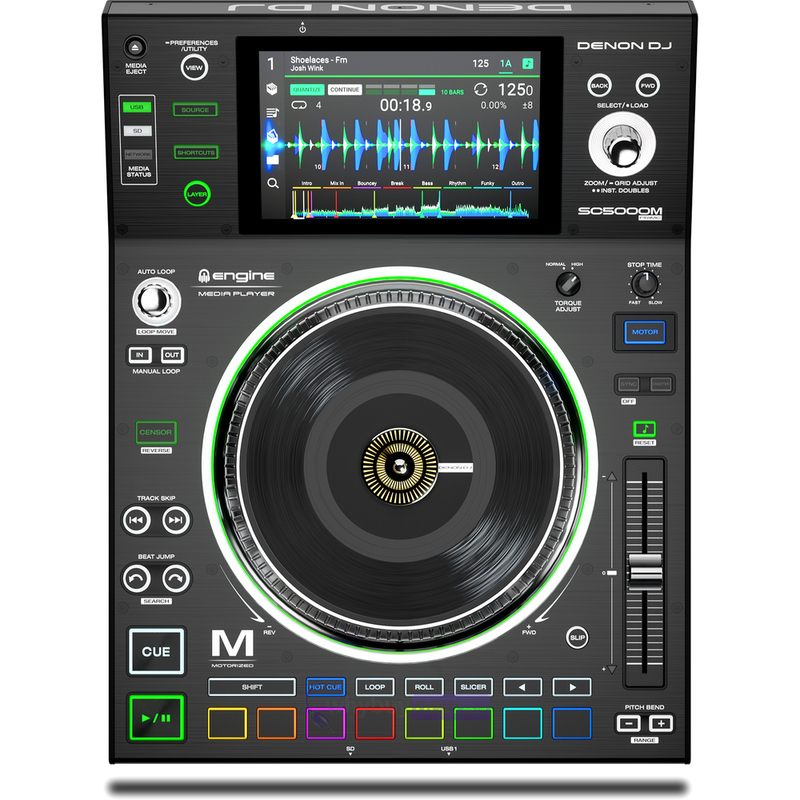 Built on the interface and hardware of the multi-tech award winning SC5000 DJ media player, the M (for Motorised) returns DJs home to the true vinyl feeling that is the very core of performance DJing. The Legacy DJ Vinyl Experience Redefined! 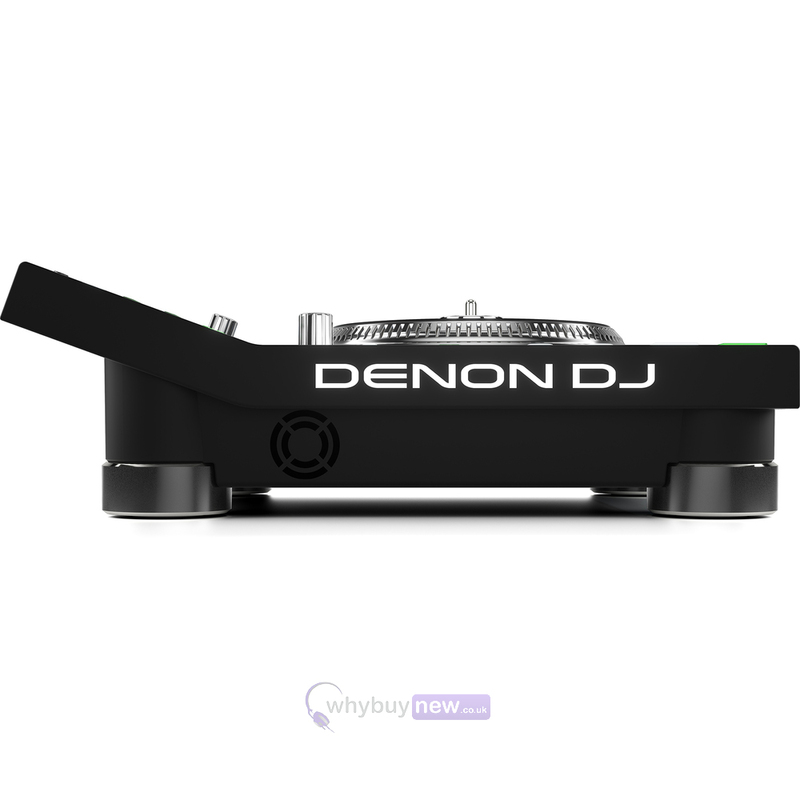 The die cast aluminium platter features ultra-high resolution (3600 ticks per rotation) performance accuracy rotated by a Brushless DC Electric motor, more powerful and capable than anything previously available on a pro DJ media player. 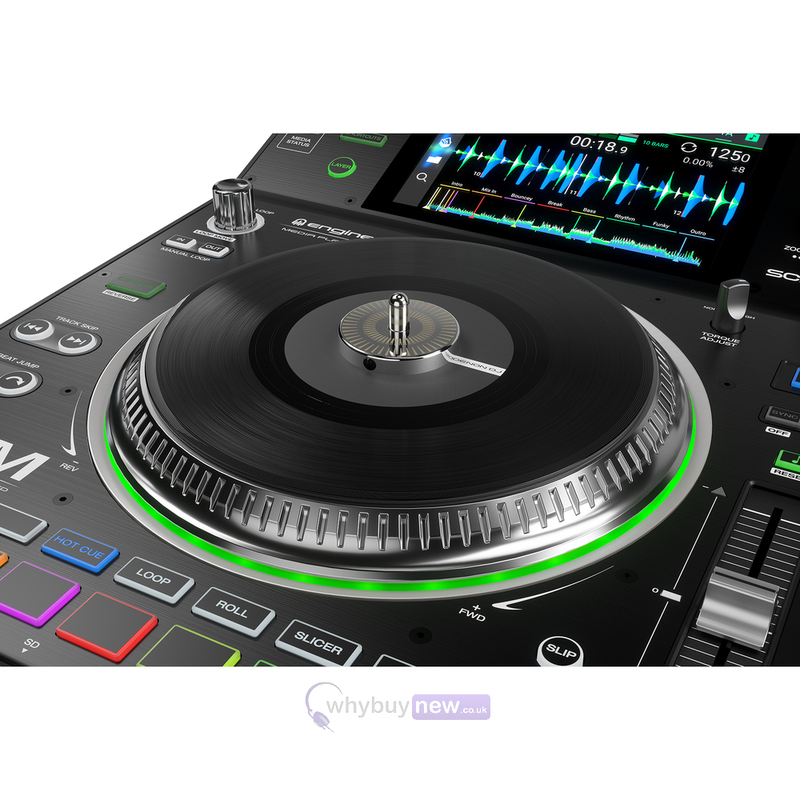 The SC5000M also has an adjustable vinyl tension for slip/scratch control which blesses DJs with a true, mechanical spin under their fingertips, making music really feel alive! The SC5000M features the same industry disrupting creative performance technology of the SC5000 Prime with its 7 multi-touch, multi-gesture HD screen which brings the usage familiarity of todays touchscreen devices to the DJ. Track search, load, filtering and library navigation can be done fluidly with the sweep/tap of a finger, while simultaneously referencing essential DJ performance parameters, high resolution waveforms and beat-grid information. With a multicore processor inside the unit, the SC5000M drives Engine Prime software which enables on-board track analysis without the need for a computer, plus the ability to import Rekordbox playlists, tracks, hot cues and loops. 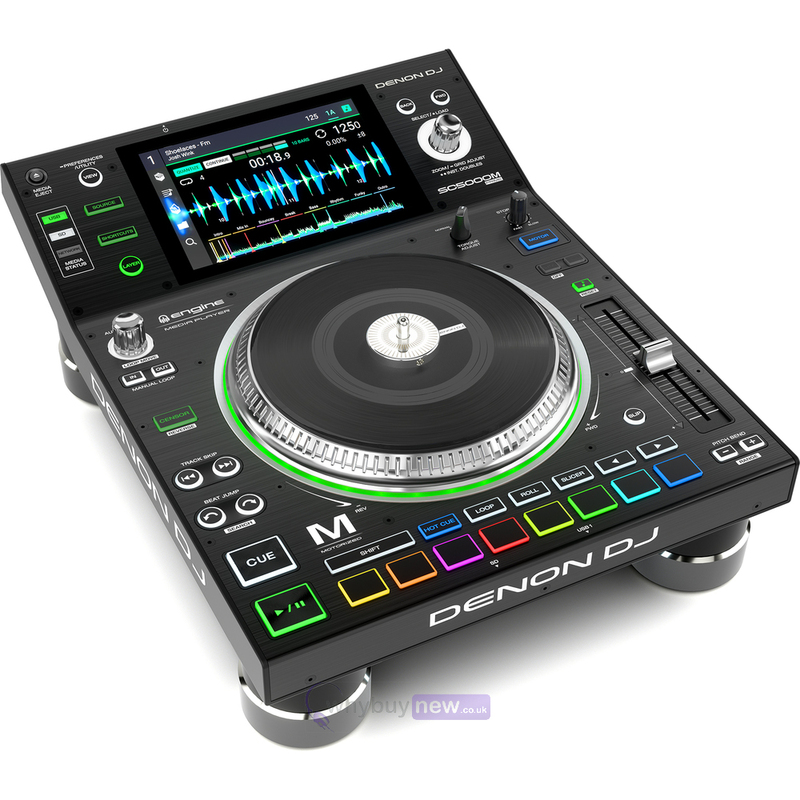 Using Denon DJs free Engine Prime music management software, DJs can also synchronise and integrate their iTunes, Serato DJ Pro and now Native Instruments Traktor collections too again, importing playlists, track hot cues and loop information effortlessly. The SC5000M performance technology brings the power of two separate DJ media players, into one single and standalone unit. Mix and match beats, instrumentals or acapellas between independently outputted channels and throw instant-doubles across layers, or to another player without the need for a connected laptop flexibility and creative DJ expression is now literally limitless. The SC5000M also shares the other award-winning tech features of its SC5000 counterpart. These include a class-leading Timestretch algorithm for sonically controlled and key-locked extreme tempo changes plus of course the 8, expressive control trigger pads for hot-cue juggling, track remixing, looping, rolls and slicer. The appeal of the SC5000M Prime touches the hearts of DJs at all levels of experience, age and inquisitiveness into the essence of legacy vinyl performance. DJ A-listers, Turntablists and Pro/Industry luminaries have already hands-on previewed the Ms platter performance and their response has been unified that the legacy, DJ vinyl experience has truly come home. Wow! Denon has definitely brought the vinyl feeling back. This feels exactly like a turntable and its a 7 platter too which brings me back to playing 45s as well. The players are great, lots of options like the dual-layer which is amazing because you only need two players to actually play four different records at any given time. Weight: 6.4 kg / 14.08 lbs. This is my first foray into digital players. I'd be using Ableton Live and Push before this to DJ with digital but found it a little clunky and too far removed from vinyl. This player hits the mark for me. First thing I noticed was the sound quality; it's superb. I'm really impressed with both lossy and lossless playback. The player has enough features to get the creative juices flowing and has added another dimension to my performances. The big seller for me though was the dual layer which let me mix fully digital while only forking out for one player. 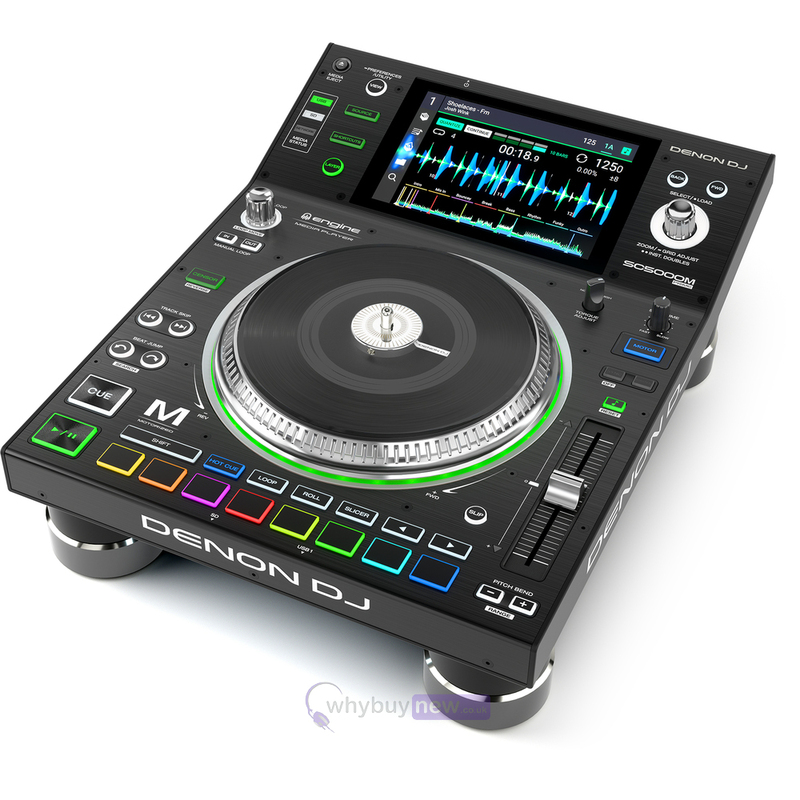 There are some draw backs; hitting cues on the playing track is more difficult watching the small waveform on the bottom of the screen than it would be when watching it on another player and you cannot cue up a track on one layer and use the roll or other features accessible through the performance pads on the other layer at the same time. Those limitations aside, this is a great player. If you have the means, treat yourself.